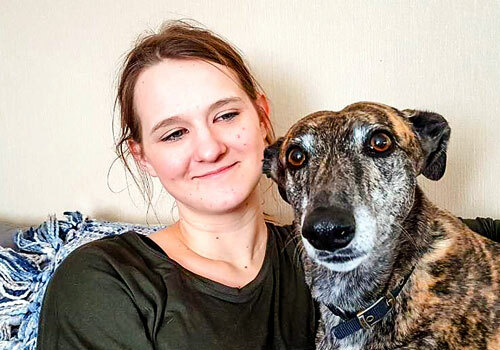 After working for the Retired Greyhound Trust as a teenager and growing up around a variety of animals, it has now become my ambition in life to care for all animals through nursing. I love meeting clients and getting to know their companions as well in consultations. I have a particular passion for dentistry and love helping owners to make sure we can keep their pet's teeth pearly white and healthy! I'm the newest member here at Fairfields and couldn't be prouder to work with such a fantastic and dedicated team. I currently have two greyhounds called Demi and Bex, both of which I adopted as rescue dogs. We enjoy long walks together followed by even longer naps at home!